The Mack is a West End Fairytale about a Murri Aboriginal family living in the inner city area of Brisbane. The conflict between the urban and outback worlds is emphasized in the design by the up-stage river merging into a bitumen road and model-like cityscape down-stage. 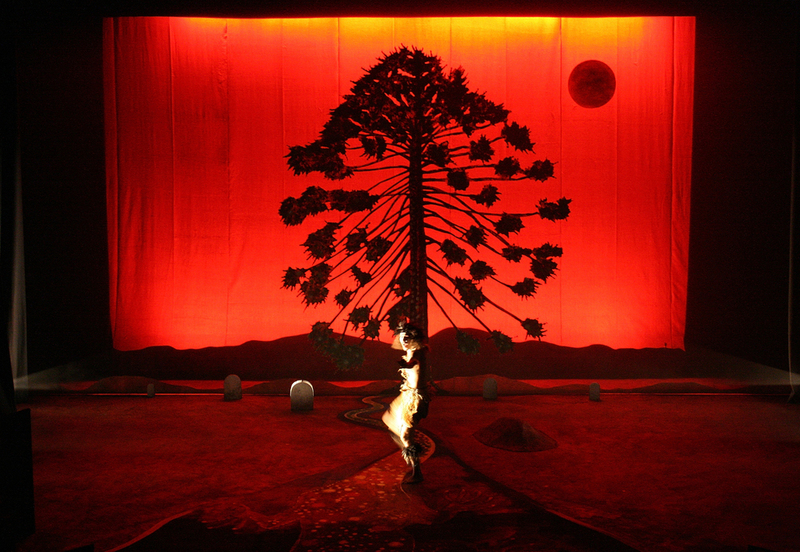 A black sharks-tooth gauze backdrop was used to create various lighting effects and to emphasise the "Dreaming" in specific moments of the play. Even in a world of bitumen and concrete, the characters of the play are all part of ancient and secret mysteries - The Dreamtime can not be escaped as it is emerges from the surface of reality. 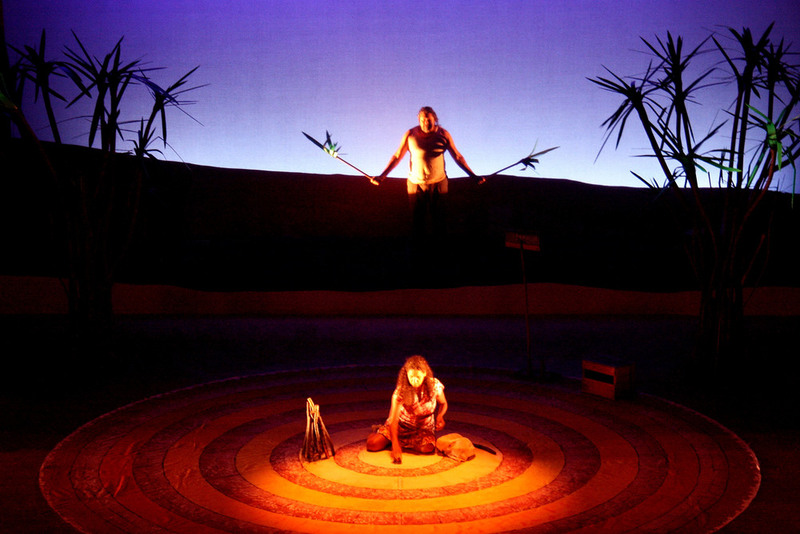 Whispers of this Wik Woman is a autobiographical play about a proud woman’s life in the remote Western Cape York of Queensland, and her teachings and loyalty to her ancestors and Country. The set is inspired by the landscape in which the play takes place, and underlines the importance of preserving our Country’s beautiful natural heritage. The circular floor cloth, a tribute to the style of the beautifully hand woven baskets of the Cape York region, symbolises the inner spirit and cyclic nature of life.